What in the where in the who and the why and the how… how does this work? Maybe you missed this announcement during the Nintendo Direct recently, but that’s because it never happened. This port of Assassin’s Creed Odyssey will only be playable on the Japanese Nintendo Switch, and no word of it coming to Western audiences have yet been made. How the heck is this even possible? In Japan, the Nintendo Switch sports a cloud streaming service that allows players to essentially “rent” video games. What, is it like the 90s all over again? Well, not really. The company experimented with Resident Evil 7, allowing Nintendo Switch owners to pay 2,000 yen (about $18), to play the game for 180 days. Not bad, but after that, the game will no longer be on the console. 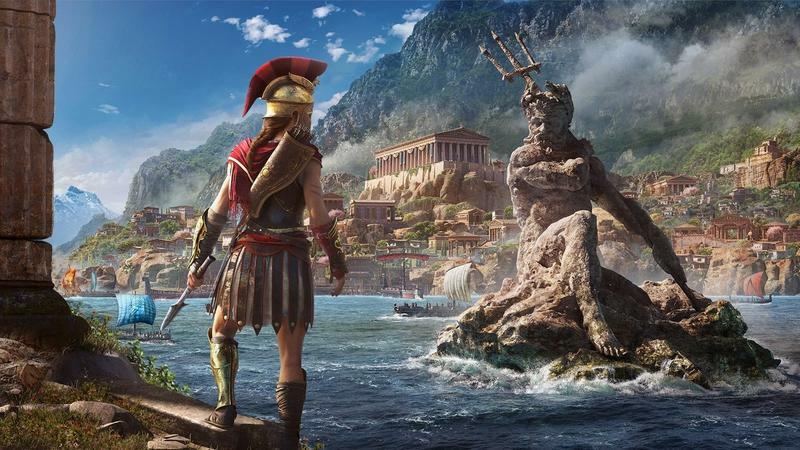 Assassin’s Creed Odyssey is apparently the next game in line to give this cloud system a try, and it will be available through two payment options: 8,400 yen ($75!) for unlimited access 730 ($6.50) yen to access the game for a single day. Either way, I’m not sure how I feel about the system or how it would fly in the United States. The prices are a little ridiculous, and the game you’re buying isn’t even permanently available on the console! Those paranoid of digital distribution taking over the market are going to have a field day with this announcement. Besides, we already have a solid Assassin’s Creed game on the Switch. It’s called The Legend of Zelda: Breath of the Wild.